What I love about this recipe is the deep, rich flavour. It is exactly the kind of food you crave in winter- hearty, warming and comforting. This depth of flavour is achieved by roasting the vegetables, allowing you to turn your summer produce into a winter worthy meal. You can serve this over spaghetti, over zoodles (spiralized zucchini noodles), mix with broth for a yummy tomato soup, use as a pizza sauce, or use for dipping bread. Let your imagination run wild as this sauce is very versatile. This amount made 4 quarts for me. Multiply or divide as needed. For the 1st step of this recipe you will need to roast your vegetables. Cut the onions, across the middle, into 3 pieces each. Slice the zucchini into 1 inch thick rings. If using fresh red peppers, slice the red peppers in half and remove the stem and seeds. All of the vegetables, including the tomatoes, will need to be roasted. 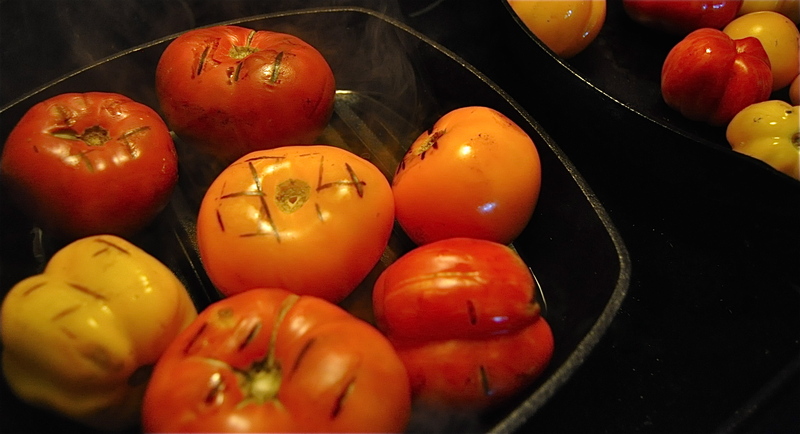 You can either roast in a 450º oven until vegetables are beginning to brown in places, pop under your preheated broiler and turn occasionally until browned in places, or use a cast iron grill pan. 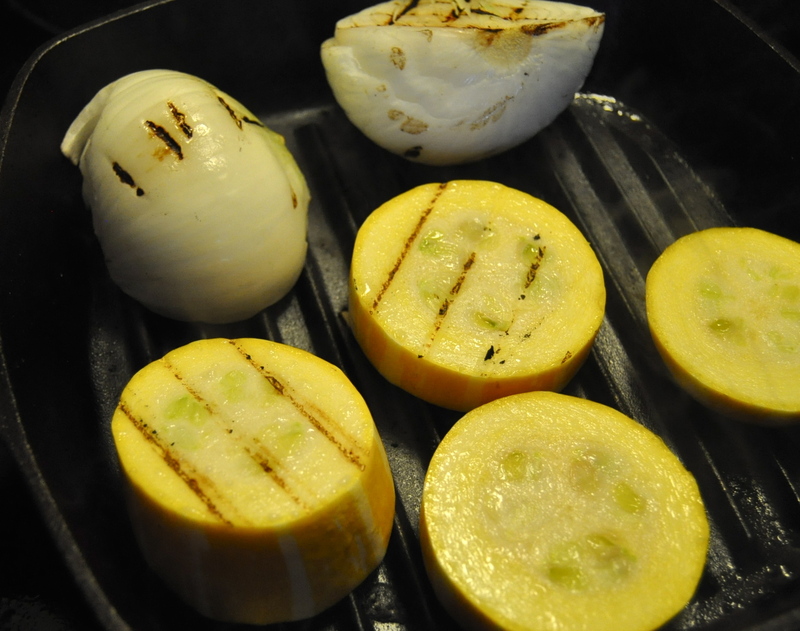 I used a grill pan as I love the charred flavour it adds and grilled my vegetables over medium high heat, turning occasionally, until they began to soften and char marks appeared. 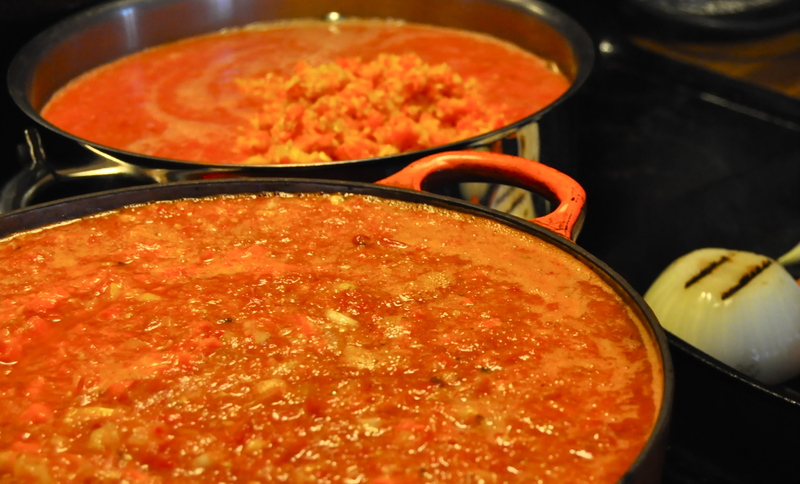 Simmer over medium heat until sauce has thickened to desired consistency. Stir occasionally to prevent sauce from sticking to the bottom. As I like a slow roasted flavour I usually allow my sauce to tick away for at least 2 hours. If you are in a hurry cook over higher heat for a shorter amount of time. During this time sterilize your mason jars by running through the dishwasher or boiling in a pot of water for a few moments. Stir and taste, making sure your seasonings are perfect ❤ Ladle into your mason jars, screw on the lids and boil in a water bath canner or a large stock pot for 40 minutes. Carefully remove jars from pot and set aside to cool. Before moving to storage ensure that all jars have sealed by popping the centre of the lid. A sealed jar will not pop while an unsealed jar will still make a popping sound when the middle is pushed. Once canned this sauce will last in the pantry for the year. **Never miss a post by following me via email or “liking” me on Facebook. 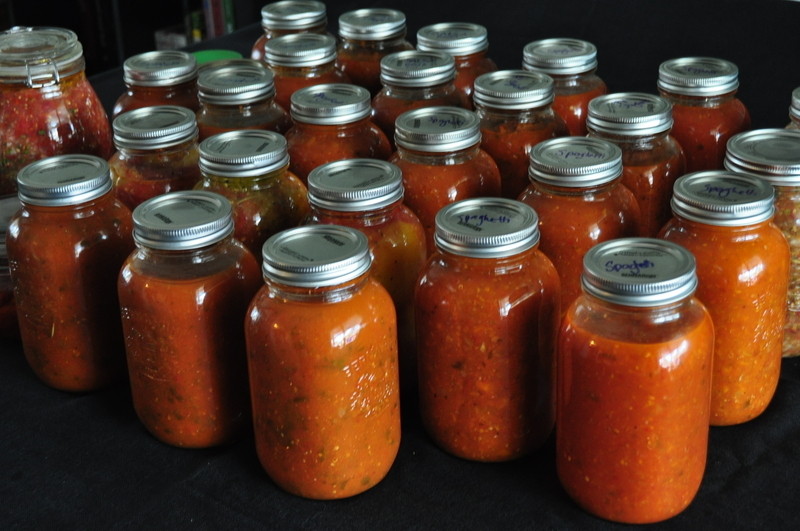 This entry was posted in Uncategorized and tagged canning, dairy free, gluten free, nut free, preserved, spaghetti sauce, tomato sauce, vegan. Bookmark the permalink.